For the paper clip guess one person actually guessed the EXACT amount of 777 (which was random by the way) paperclips, congratulations, Jennifer Garnatz from Inland Dental Center. She won both contests! Your prizes will be sent out this week!! As most of you have probably seen or heard, the markets have not reacted kindly to the United Kingdom’s shocking decision to leave the European Union. While the stock and bond markets have taken big hits over the past few days, So Cal Dental Partners participant accounts have been sitting in a transition account (Cash and Money Market) for the past week and have had NO exposure to this market down trend. In fact, we actually saved over $100k as a group by moving our funds from American Funds when we did. Amir Arbabi, our financial representative, has followed up with Empower and we are still on track to have our 401k money re-invested by July 1st. You can always contact him directly via email if you have further questions or concerns. 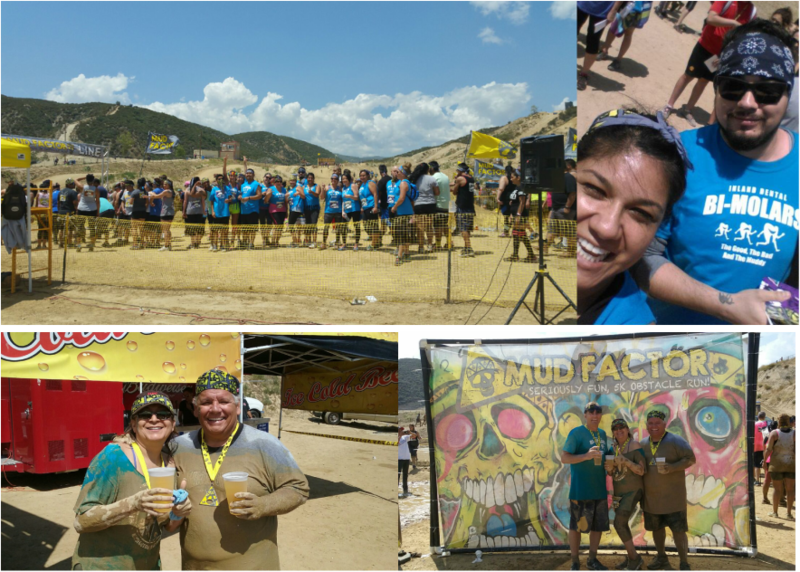 Dr. Robert Vaca's actor role as Hercule Poirot in Agatha Christie's, "Black Coffee"
On May 1 the Inland Empire crew got down and dirty at the mud run at Glen Helen Raceway in San Bernardino. The mighty Bi-Molars had an awesome time competing in the race... way to get out there and get active! Our teammates at SC Dental participating in the Bubble Challenge!